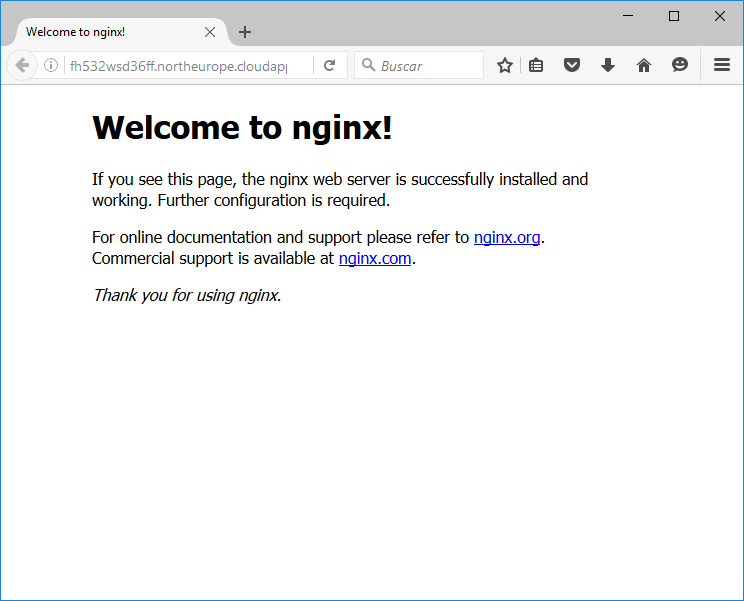 In this post we will see how to install nginx on a Ubuntu Linux 16.04 LTS virtual machine on Azure. This is one of the best HTTP servers and reverse proxy, and also an IMAP/POP3 proxy. It is open source. 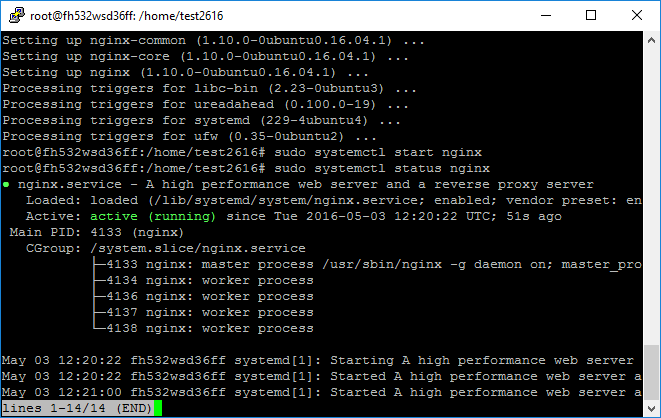 – Create a virtual machine from the gallery with Ubuntu 16.04. You can see my post about creating Linux VM. – Change the default ssh port. You have instructions to do it in Azure in my post about it. This step is always recommended before installing a package (except production servers with previous production packages, that you have to consider whether or not it is convenient). As we will install an HTTP server, if you have got a previous http server like Apache, you have to uninstall it to prevent conflicts. For more information about nginx you can find it on this link.